Our London Buddhist Centre is to get a beautiful, brand new Buddha statue! At almost 6 feet tall it will be a striking centrepiece for the large meditation hall, which itself is being refurbished. 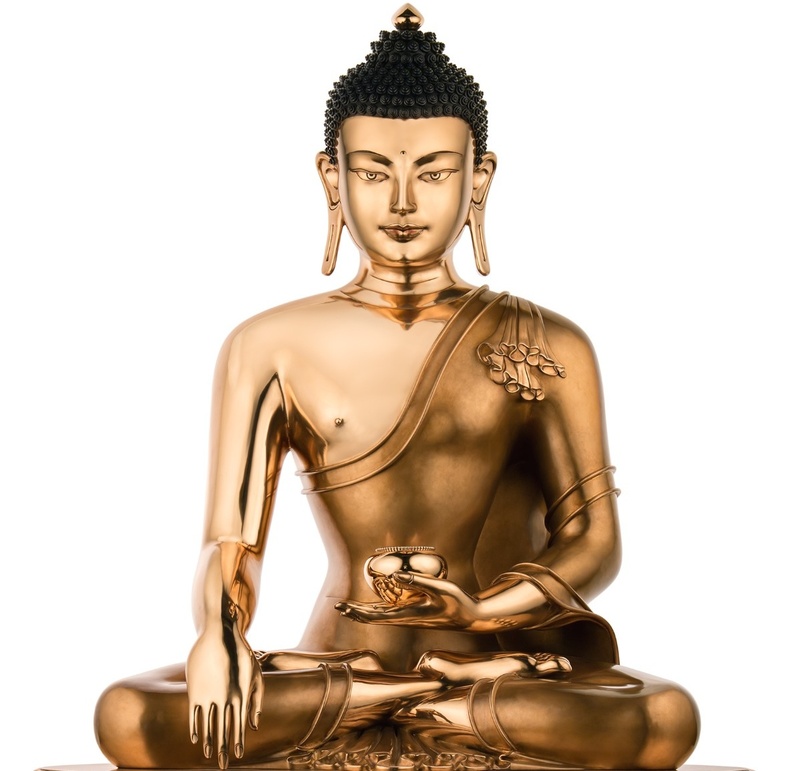 The statue is one of a special production series of statues of Shakyamuni Buddha, the historical Buddha, that are being made for the main Diamond Way Buddhist centres worldwide. In Tibetan Buddhism, statues are not merely for decoration, but represent and transmit enlightened qualities such as wisdom and compassion. Creating a statue requires more than artistic and technical skill. It requires a precise knowledge of the geometry of enlightening feedback, and a connection to a transmission lineage of Buddhist masters. Even so, a statue is not considered really “alive” until it is filled and blessed. Every traditionally prepared statue is filled with special objects and substances, such as relics, rolls of mantras, and beautiful items collected by Buddhist centres around the world, in a different way according to the type of statue. The statue-filling team for the London Buddha statue is trained and authorised by Sherab Gyaltsen Rinpoche, a highly respected Karma Kagyu lama from Kathmandu, Nepal, who had already inaugurated the first statue of the series at the Europe Center this summer. A statue thus prepared and blessed by a liberated Buddhist master is a source of inspiration and blessing for anyone who sees it, meditates near it, or creates a karmic connection to its construction or filling. If you would like to help in a practical way, drop in to the centre in London on a Thursday evening and after meditation (starts 7:30 sharp) you can ask someone about rolling mantras. Sangha friends, please don’t send expensive things but rather fitting objects such as mantra rolls, flowers, incense, and so on. Your centre has received a detailed list of the things we need – please organise it with your centre. You can learn more about the statue, how it was produced, and its significance on the “London Buddha statue” page.